In 2007, an outstanding conference was held in the US. 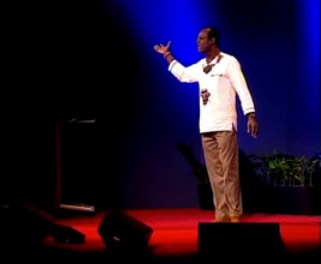 Watch George Ayittey as he explains how developmental aid only feeds the Hippos, whereas the Cheetah Generation is on their way to lift Africa out of the seemingly never-ending poverty: George Ayittey on Cheetha vs. Hippo Generation at TEDglobal 2007. Ghanaian economist George Ayittey unleashes a torrent of controlled anger toward corrupt leaders in Africa — and calls on the “Cheetah generation” to take back the continent. So who is part of the Cheetah Generation and how are you acting? ← Hello world, this is Africa!